Decision for ski pass discounts for students during the winder season 2018/2019. While buying a daily ski pass, you will have a 20% discount if you are a student, during this winter season 2018/2019. All students have to bring their student ID’s. 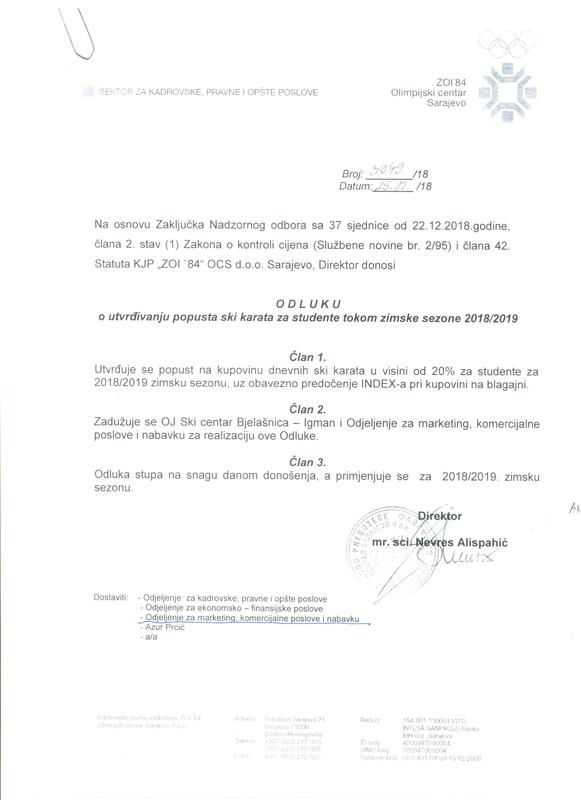 OJ Ski center Bjelašnica – Igman and a department for marketing, commercial business and procurement are obligated for the realization of this Decision.